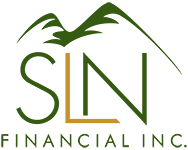 February 3, 2016 - 3 Tips for Buying Disability Insurance | SLN Financial, Inc.
Over 1 in 4 20-year-olds will become disabled before they retire. The average individual disability claim lasts 31.6 months. That’s nearly three years without a paycheck. Most initial Social Security Disability Income applications are denied and average monthly payments were just $1,165.79 in December 2015. A primary wage earner with a young family has years of potential income at risk. On the other hand, someone close to retirement with substantial savings may not be as affected by a debilitating illness or injury and can get by with a shorter benefit payout period. Also, consider factors like medical bills, contributions to retirement accounts (which would no longer come from a paycheck), and health insurance costs for you and your dependents in your calculations. When does the policy kick in? Short-term disability coverage is designed to get you benefits sooner and for a shorter period of time. Long-term disability policies have a waiting period (typically 90 days) before you can get benefits. Are premiums paid with after-tax dollars? Though disability income counts toward taxable income, you may not have to pay taxes on benefits received from premiums you paid with after-tax money. A tax expert can help you understand your potential tax liability. Is the policy portable? Typically, disability insurance policies available through your employer will only remain in force while you are working for that company. Consider how you would handle a gap in coverage if you moved on. The definition of total disability on your policy will determine whether or not you qualify for benefits. Some policies will cover you if you are unable to perform the duties of your specific occupation; others will only pay out if you are unable to be gainfully employed at all. Consult a qualified insurance expert to make sure that you understand exactly what definition is used by your policy.